A black and white negative of Edward Bartlet and his students. 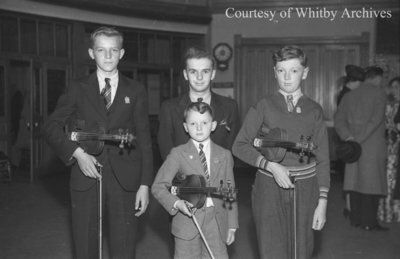 In this view Edward is standing behind three of his students who are holding violins under their arms. Edward Bartlet & Pupils, May 13, 1936, Marjorie Ruddy. Whitby Archives A2013_040_789.